If you are like me then you A) owe a dangerous sum of money to the Yakuza and B) love running around in post apocalyptic worlds shooting people and blowing crap up. The Fallout franchise has been an excellent go to for that (the apocalyptic worlds one) ever since its first installment way back in 1997. Now 21 years later we have the latest installment, Fallout 76 an online MMO following in The Elder Scrolls footsteps. I am sure by now you are all familiar with the Fallout franchise however leading into it’s release Fallout 76 was scarce on information so I will help out where I can. 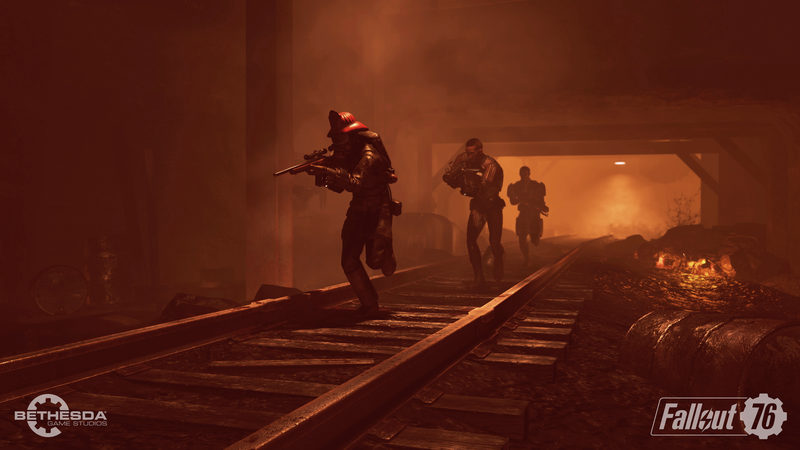 Fallout 76 mostly plays out like any other game in the series, well from the point Bethesda took over from Black Isle Studios, in that you emerge from a vault into an irradiated wasteland and fight for survival. The trademarks are all there, anything you would need for something to be classified as a Fallout game features in some form though some have been changed up in order to fit the MMO format better. Expect to see ample microtransactions for cosmetics as well as more things to keep an eye like your hunger and thirst. I think the biggest aspect that at the very least quizzed me during the lead up was whether or not it could be played as a single player experience and talking to a bunch of my friends that was the main reason they weren’t rushing out to get it. So if you are still pondering on that the short answer is yes you can play it as a single player experience though it comes with a huge BUT! The game is designed with team play in mind and Bethesda let you know this right out of the gate as you set up your character and S.P.E.C.I.A.L, this time its really lackluster, no Neesons using a future tv to see what you might look like or an old prospector making sure he didn’t mess you up too badly. Your perks come in the form of perk cards and most of the perks only kick in and take advantage of being in a team with the only real perk of use being able to heal more with stimpacks if you are going solo. After leaving the vault I was able to form a team and go out collecting weapons, building a C.A.M.P, looting and plundering to my hearts content… Or at least that is what the aim of the game is. I tried playing the game a numerous times of the day morning and night and was lucky to find more than a handful of people while trekking about at any time, none of these people cared for teaming up with me and were more into waiting to swoop in my kills and loot. The areas is very sparse and boring, there weren’t many times I came across other people as previously stated but also enemies of any variety other than training bots right at the start and when I did they would often run away. One point I did manage to find a pack of feral dogs who proceeded to run me down, or they attempted to anyway instead they ended up running on the spot in an eternal animation loop of running until I did the decent thing and put them down with my pitchfork. 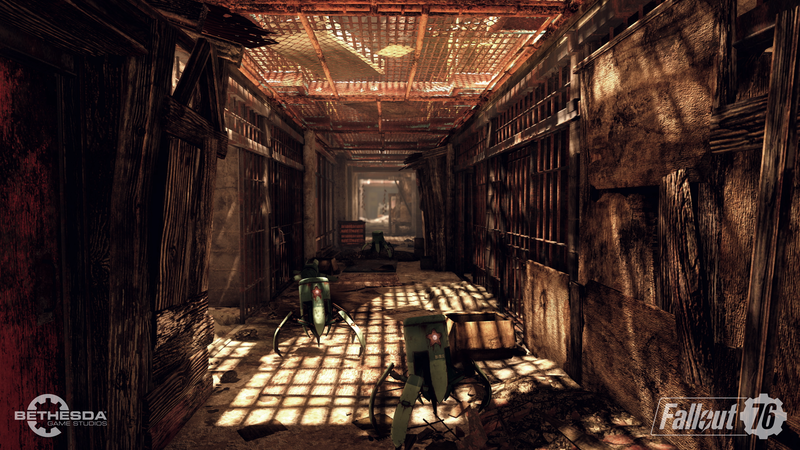 Bethesda are still using their Creation which was created for Fallout 4 back in 2011 and was basically made by bastardizing their previous Gamebyro’s engine made in 1997 and it shows. 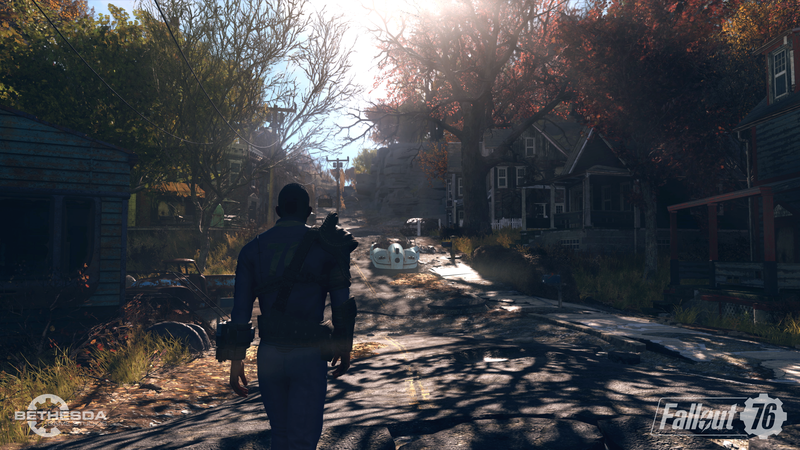 Normally I am not a graphics guy, as long as the game is fun I don’t really care but in cases like this (and the same went for Telltale Games) the age of the engine shows, the same bugs that have riddled it for over a decade are still present making Fallout 76 feel older than a game only released a handful of days ago. Bethesda’s previous MMO based on their other flagship franchise The Elder Scrolls had a rather unimpressive launch and really took a few months to get going. I had hoped that they would have learned from their mistakes with the previous game but it looks like it will be another long haul, which is partly expected. 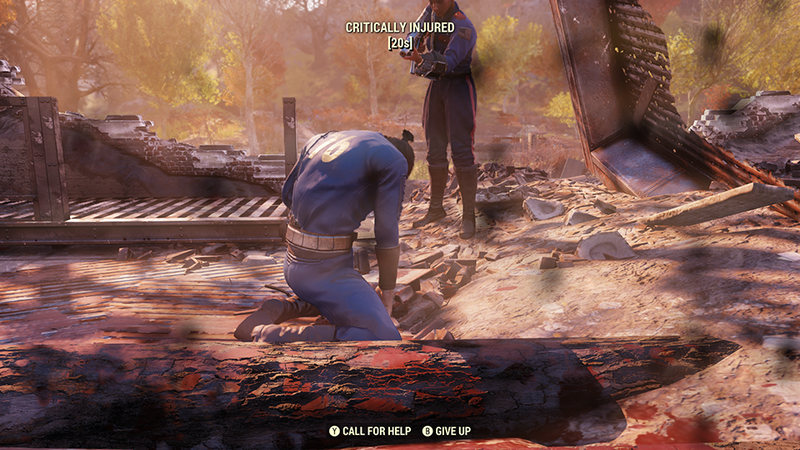 However Fallout 76’s Beta did address a lot of these problems which Bethesda said were sorted out for the proper launch of the game and will be continually working on it with patches every single week. Bethesda have also stated that for those curious about all bugs and improvements ongoing with the patches to stay tuned to the Reddit thread. If I had of forked out the 100 odd dollars for Fallout 76 I would have been left highly unimpressed, even receiving a review copy I feel underwhelmed. 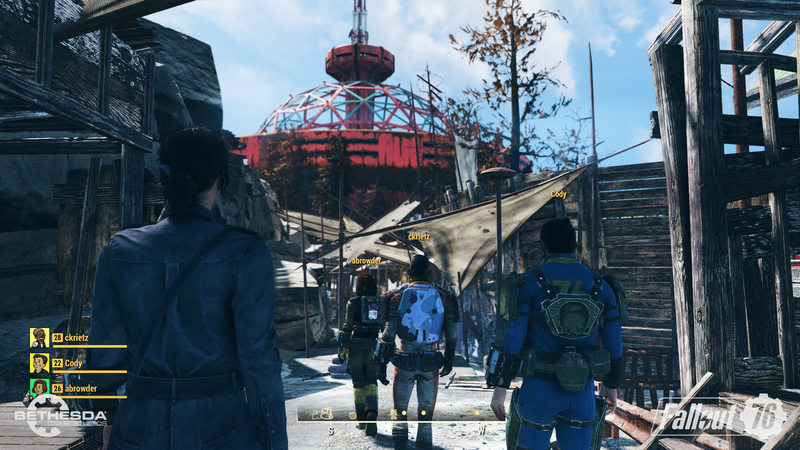 In time there will probably be something good here, games at launch generally aren’t Bethesda’s strong suit with them often taking a few months to get where they probably should have been at launch. 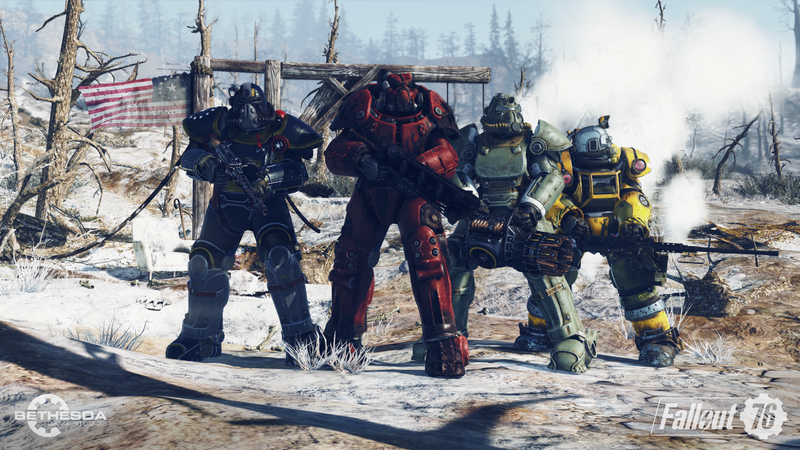 If you truly love Fallout and want to gather up a team of your friends to fight the wasteland then you will pick it up but give it a few months worth of patches so the kinks can be worked out. On the other hand if you were wanting to pick it up for the classic Fallout experience you are better off going back to 3, New Vegas or 4. I had only read headlines and sentences about the game until your review bro. Sounds like your experience has been the same feeling generated by those few words I’ve seen. You hit the nail on the head regarding the Elder Scrolls Online... why has their previous foray not armed them with the knowledge to provide a better experience? We know their games as a solo experience. Why can’t they recreate that feel in a world populated by players? I had a huge group discussion the other night about it with some friends and in it I was the only one who wasn't too fussed on it, but I was also the only one who didn't play Fortnite. The latest Jimquisition I think sums it up with Bethesda being kinda trash at game making and one of only a few that can make a game worse by patching it. BUT they are always let off the hook with shortcomings due to their scope and storytelling however with things like Spider-Man and Horizon coming out it isn't enough any more as open world games are really being hit out of the park without all of Bethesda's faults.